Renovation that is normally found in multimillion dollar homes. Every last detail down to the Dacor kitchen appliances have been meticulously selected to complement the palate of the entire home. New wiring and plumbing along with dual zone climate control offers buyers peace of mind. 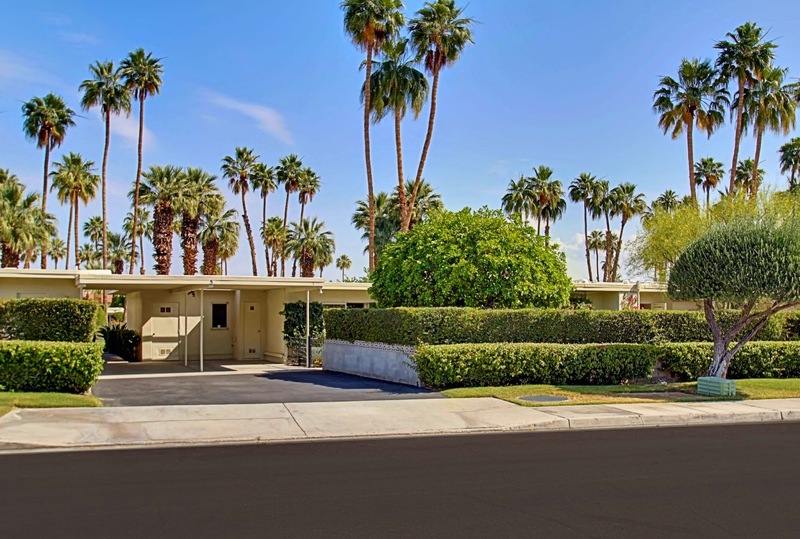 Quintessential Palm Springs retreat affords the next owner the opportunity to experience the true sense of the Palm Springs lifestyle. Expansive glass offers views of sparkling pool with south facing private lush green garden. Two Patio stretches across the entire width of the detached home, ideal for barbequing, entertaining or just relaxing and enjoying the four acre park like setting in the much sought after Araby area. Adjacent and within walking distance to restaurant and retail shopping. The kitchen with the contemporary custom cabinets and high end appliances display the level of thought and detail captured in this major renovation. The bathrooms has undergone major renovations found in five star hotels. Fee land with private driveway with 2 car attached carport and storage facility. Welcome home.